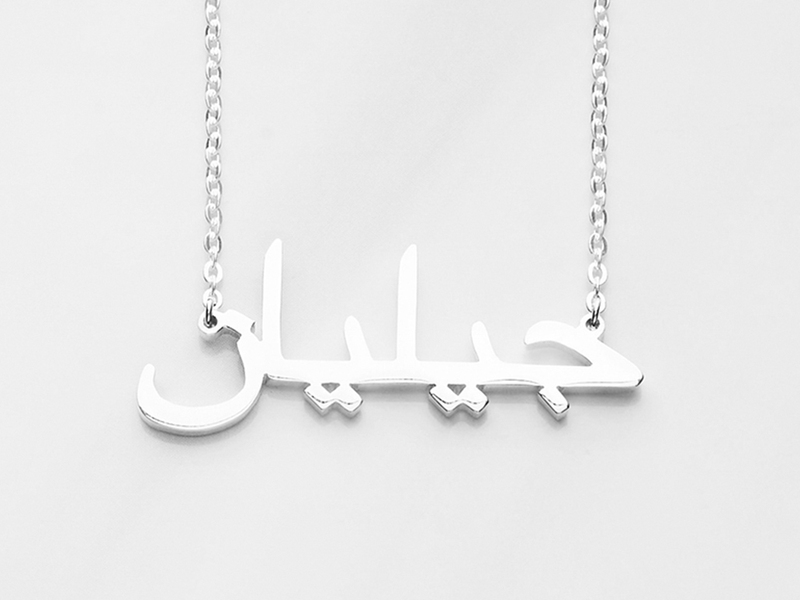 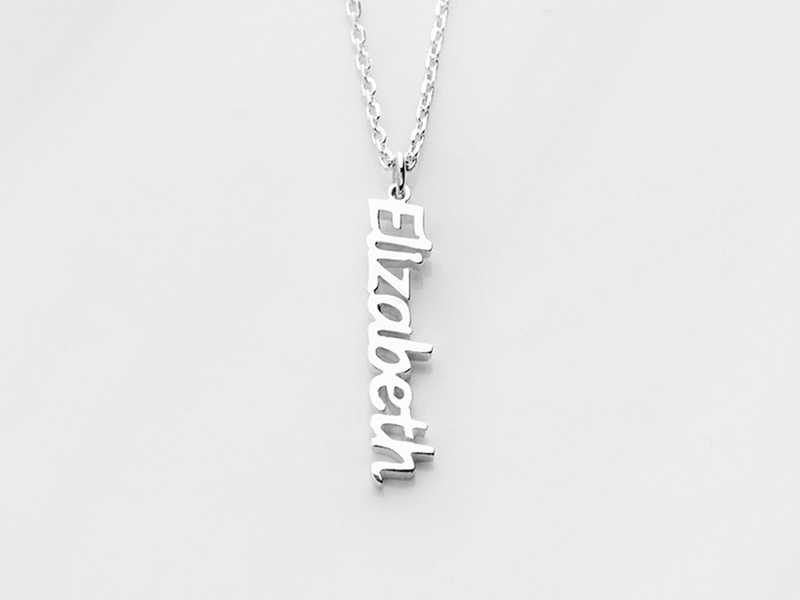 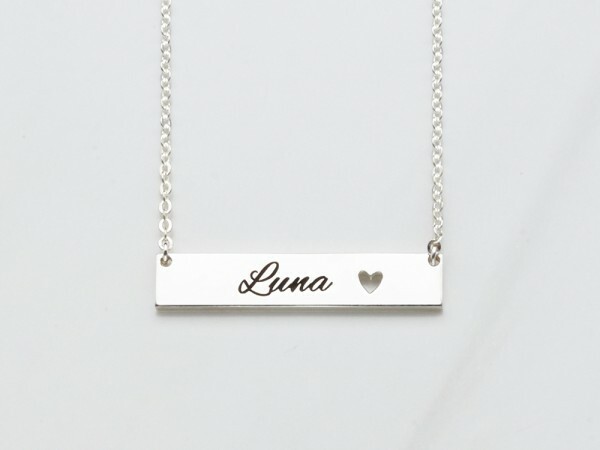 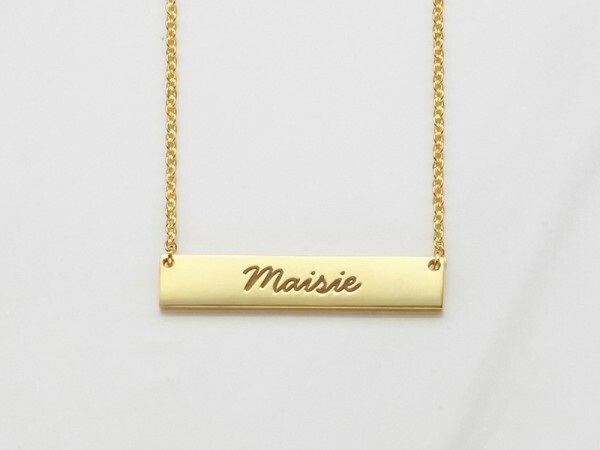 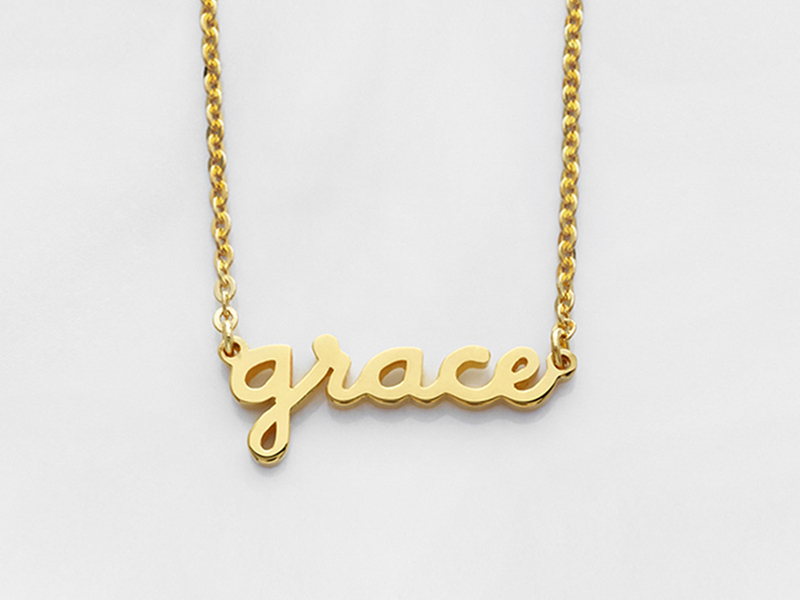 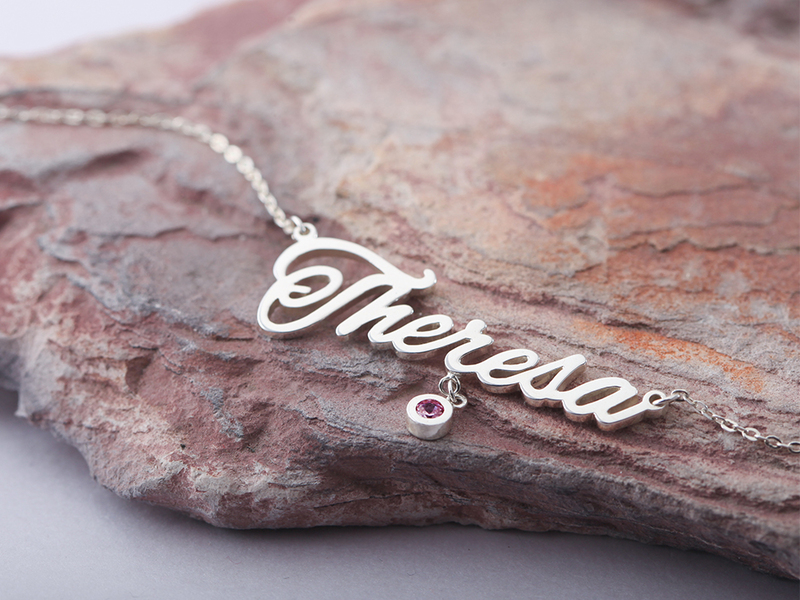 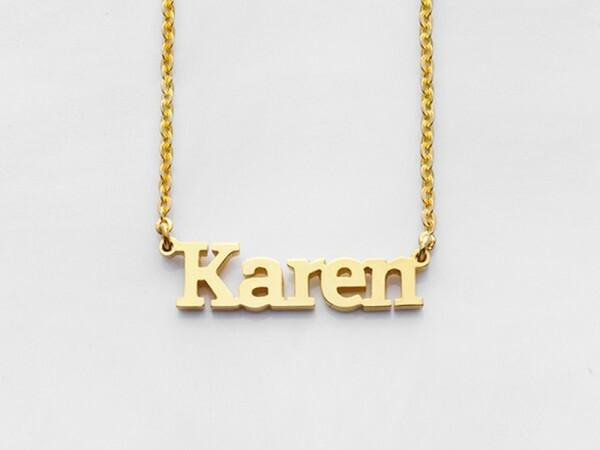 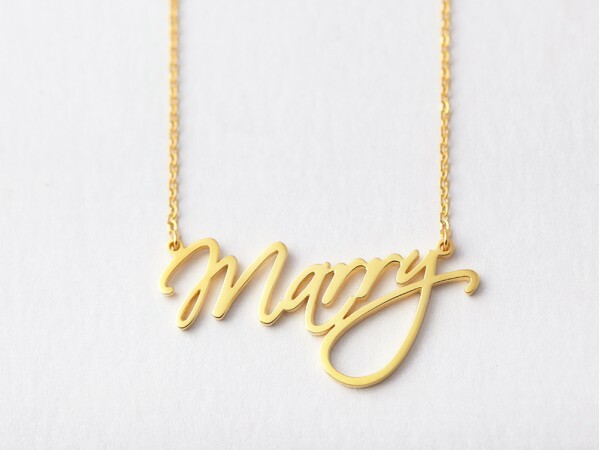 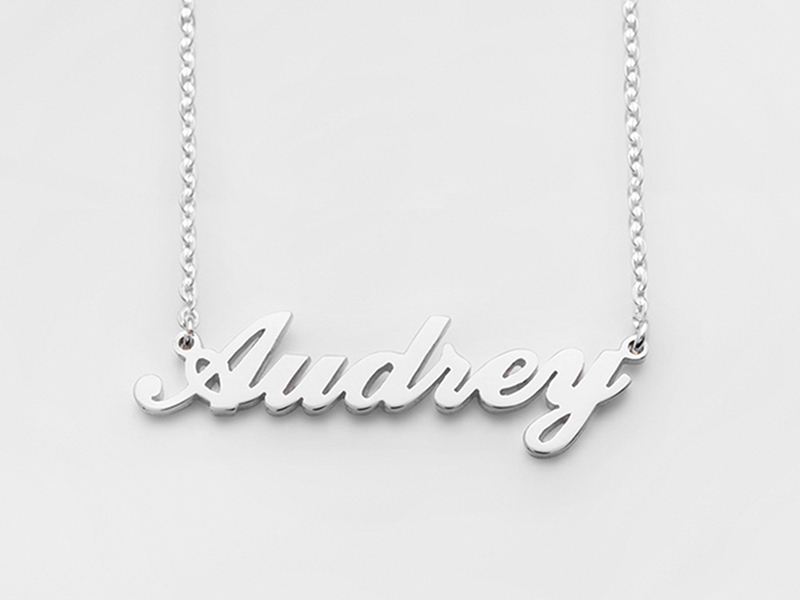 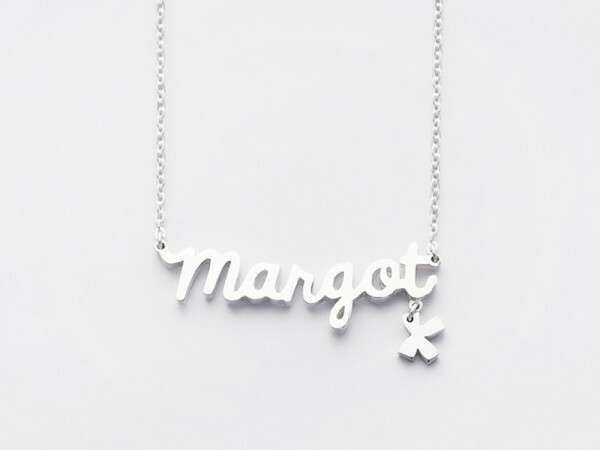 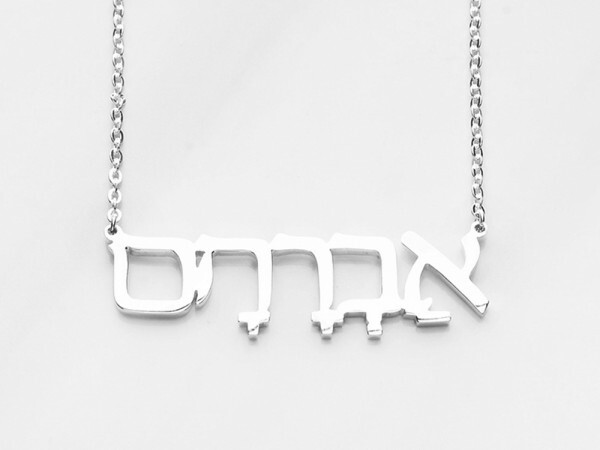 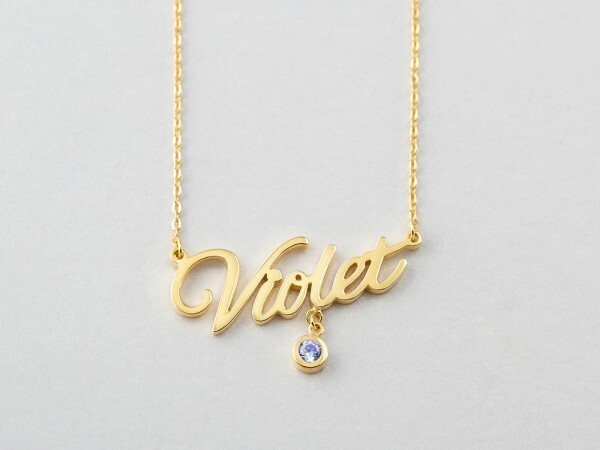 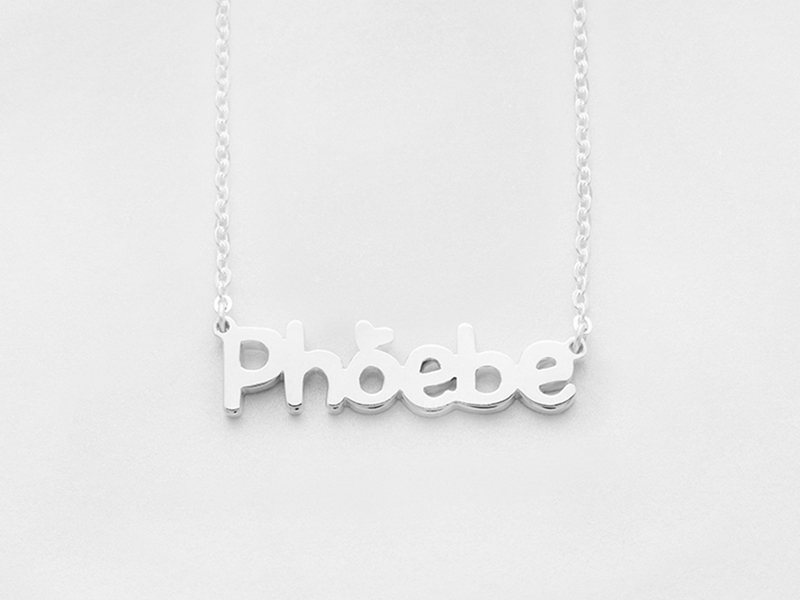 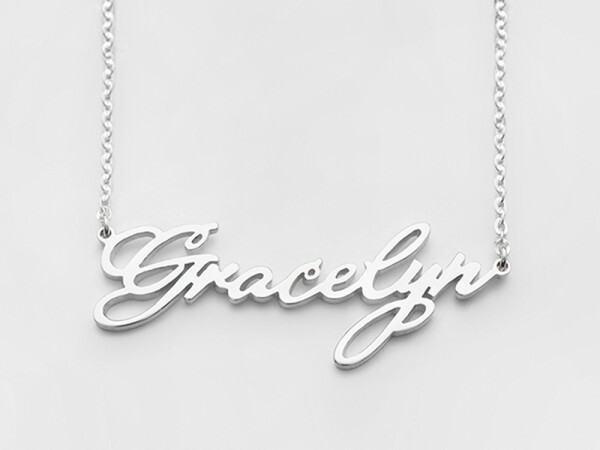 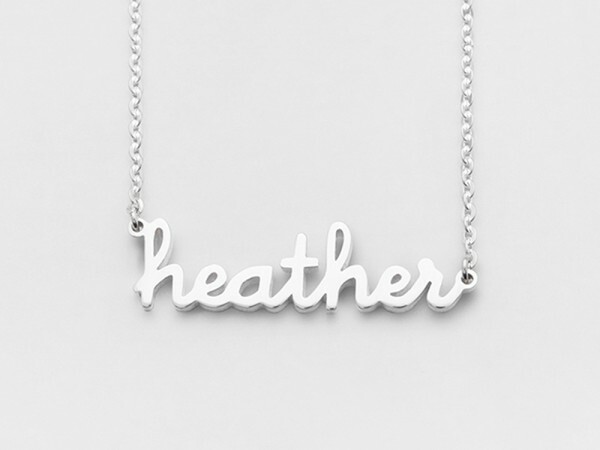 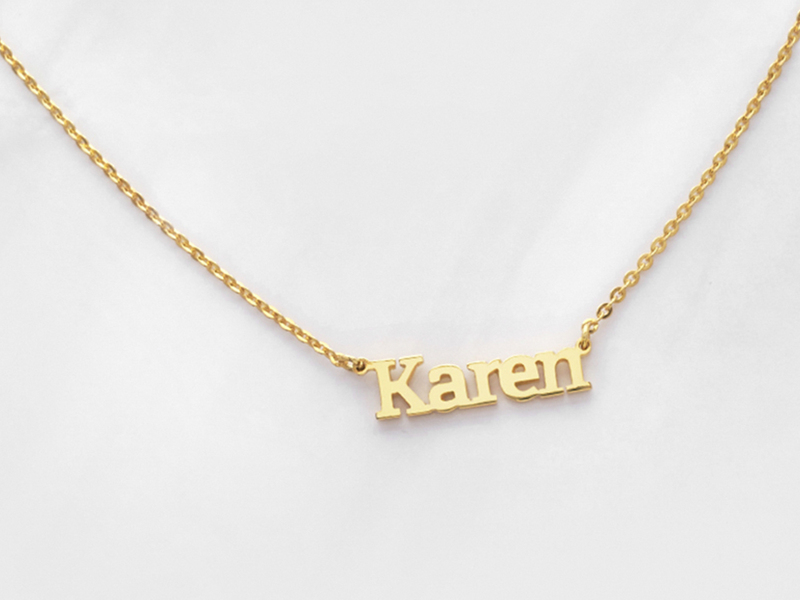 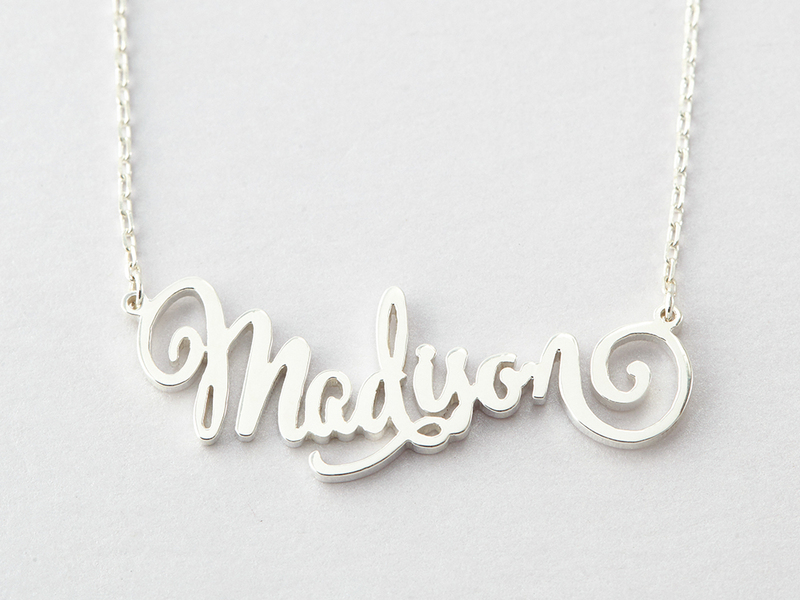 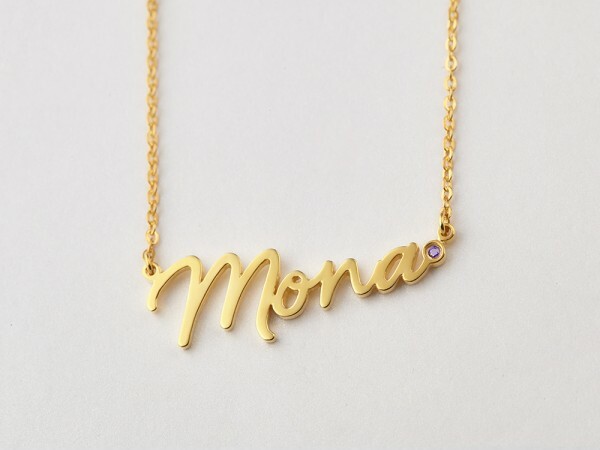 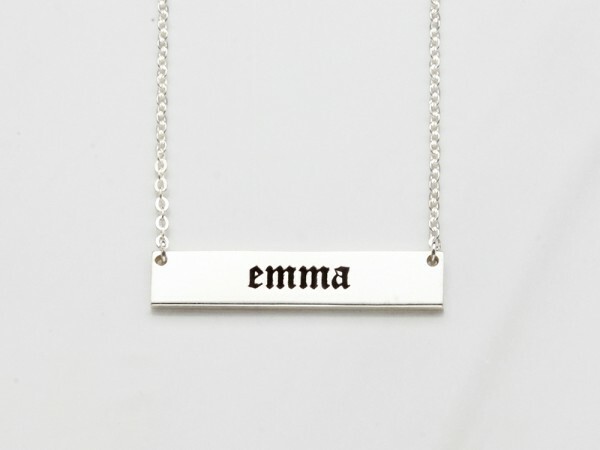 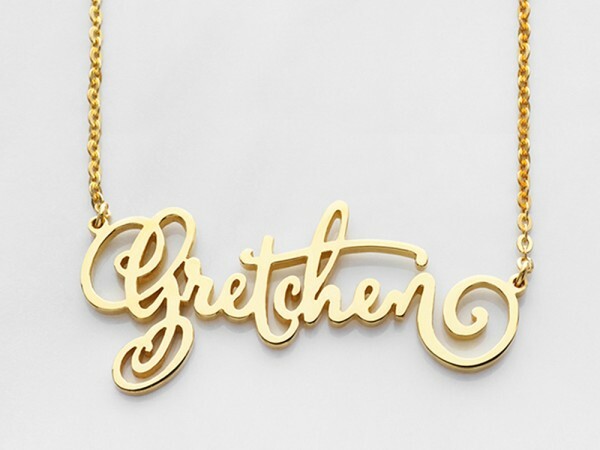 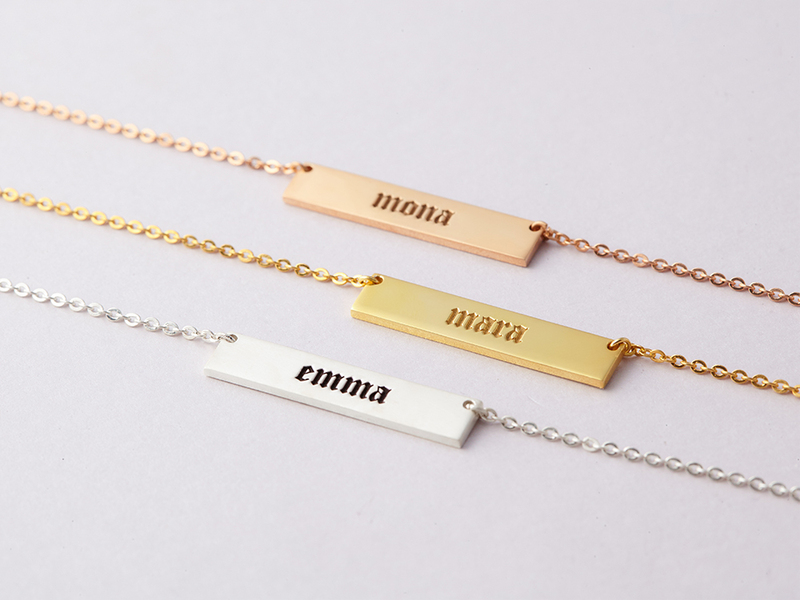 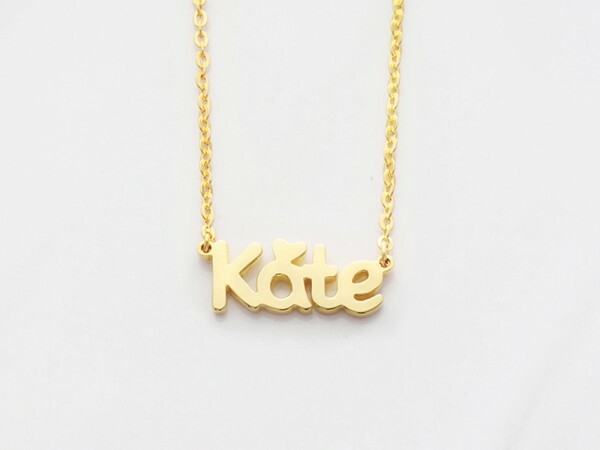 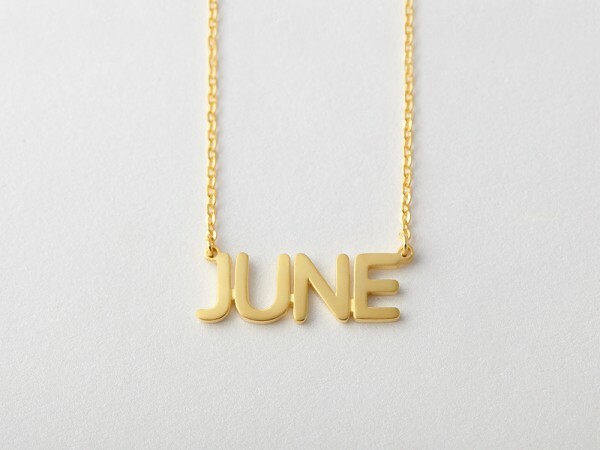 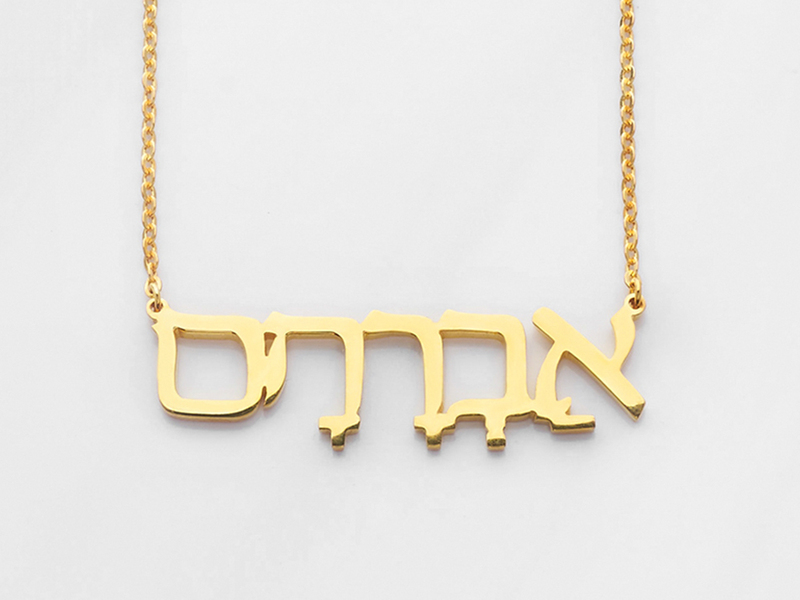 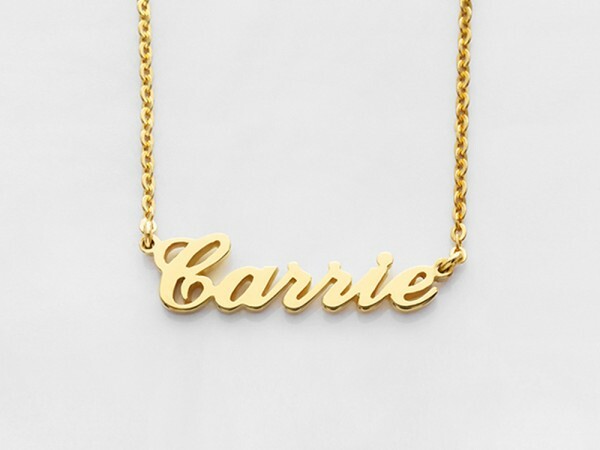 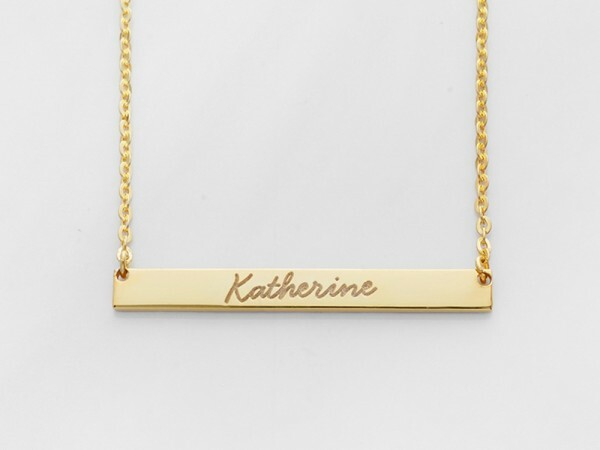 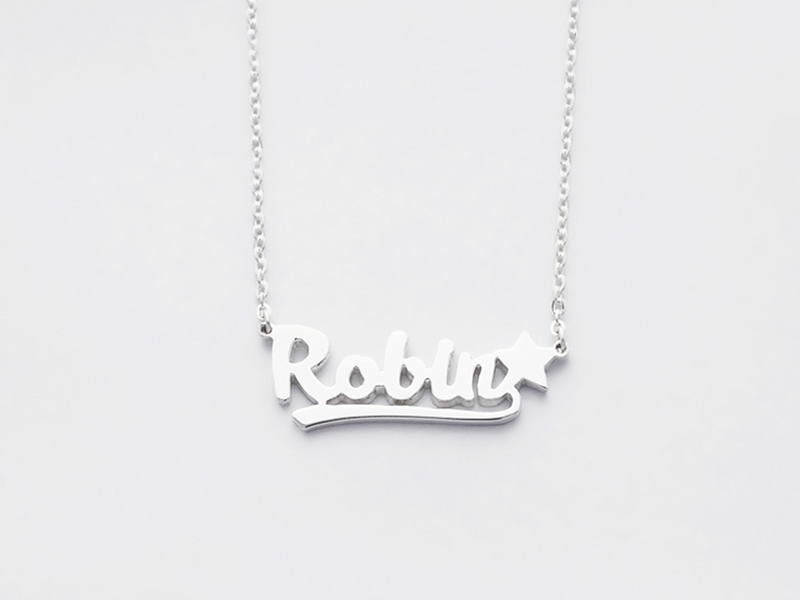 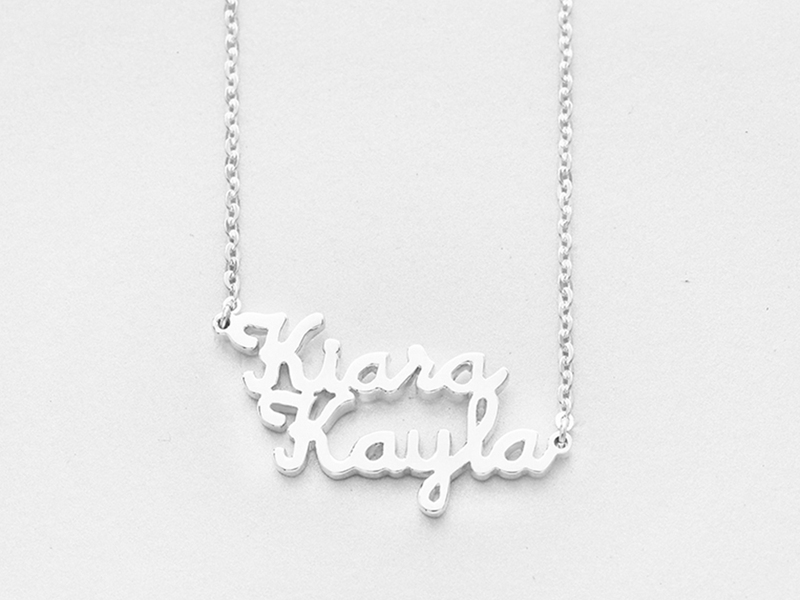 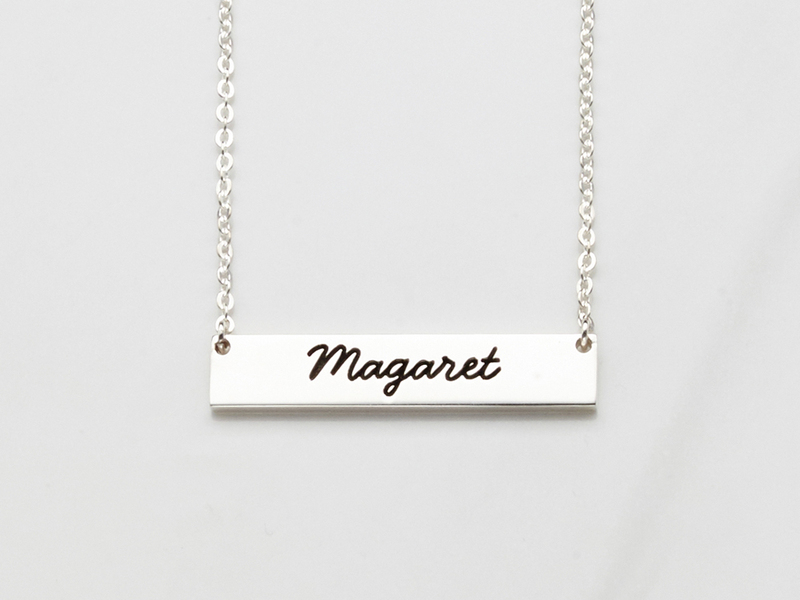 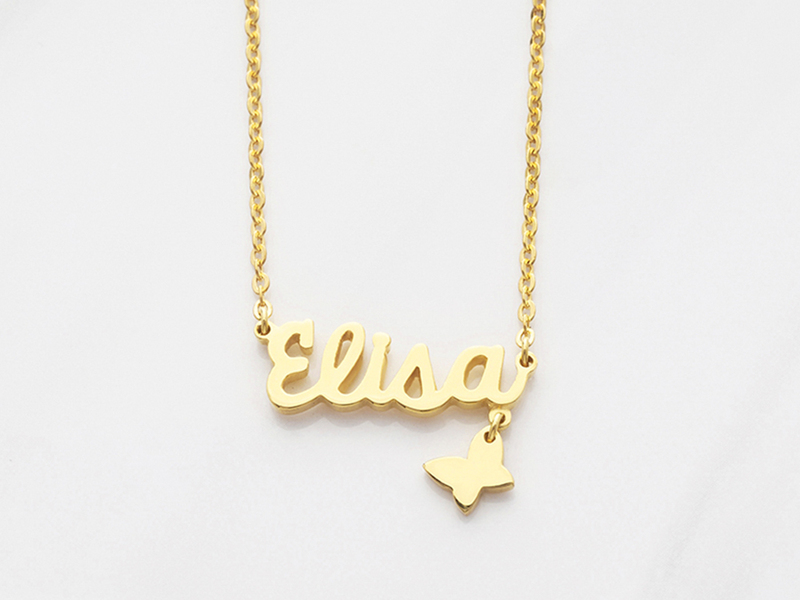 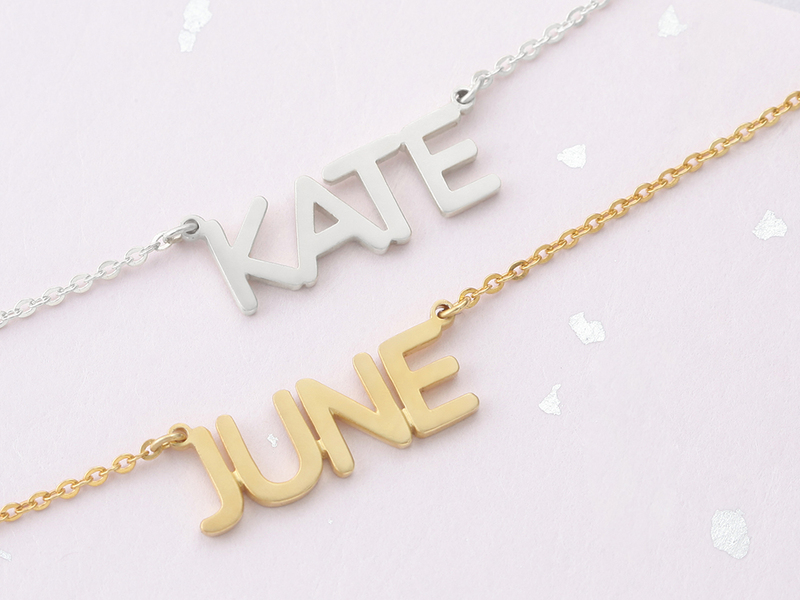 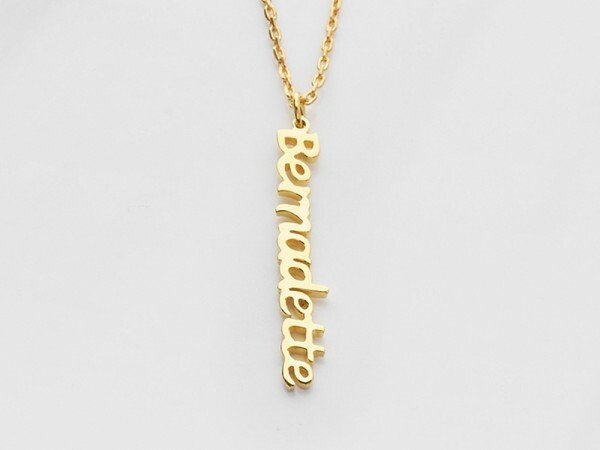 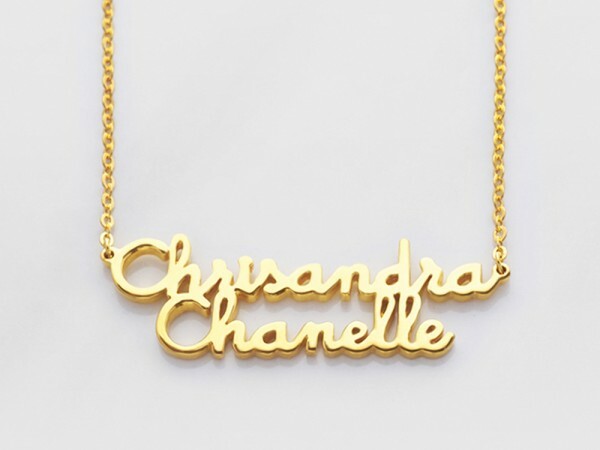 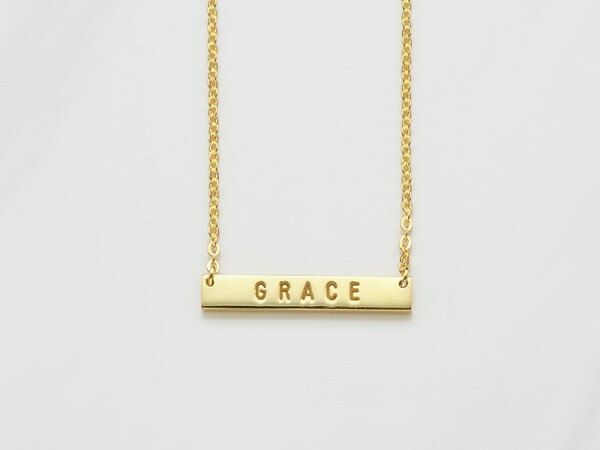 Wear your name or your children's names proudly with our personalized nameplate necklaces. 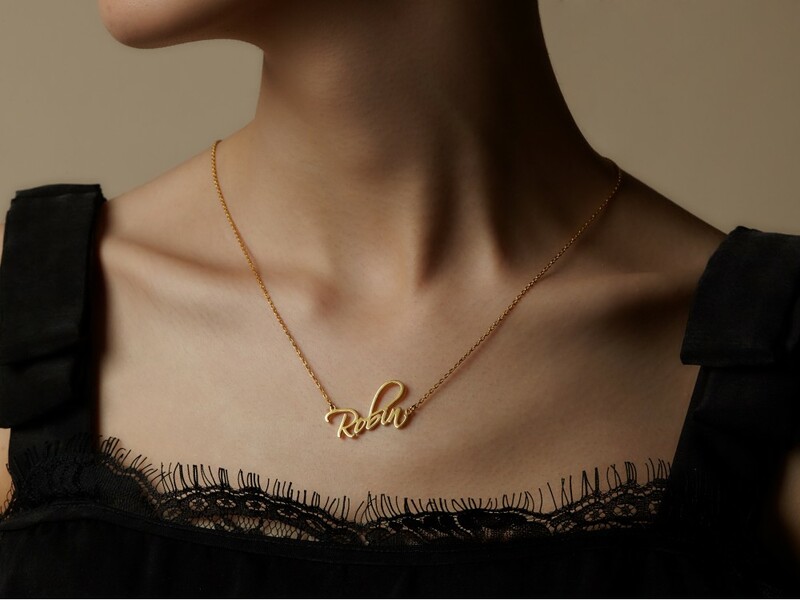 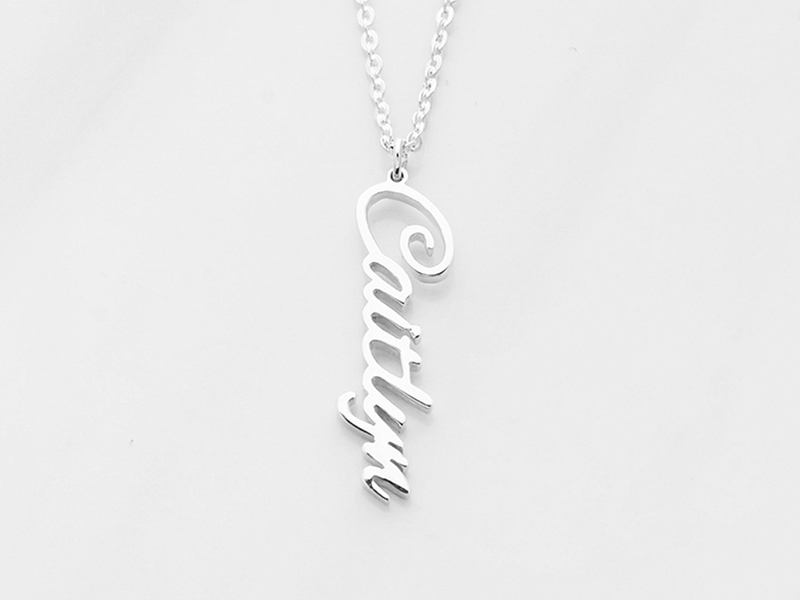 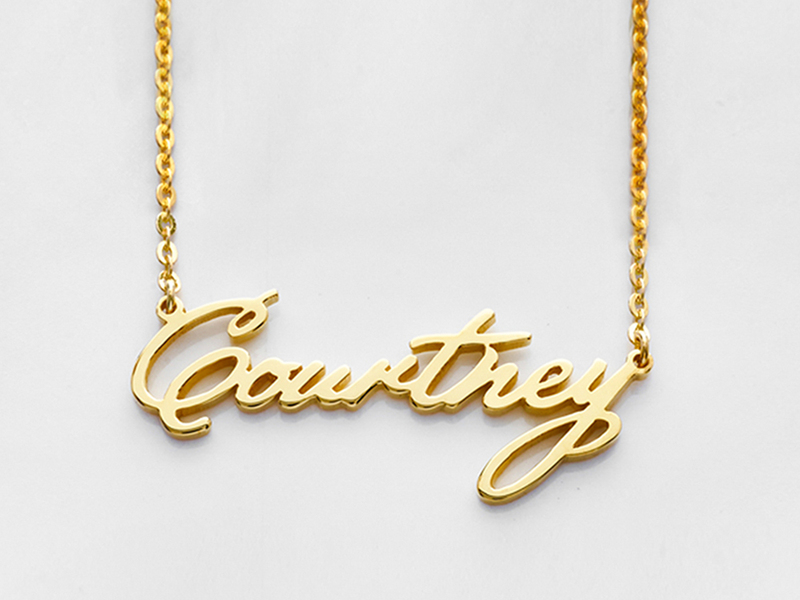 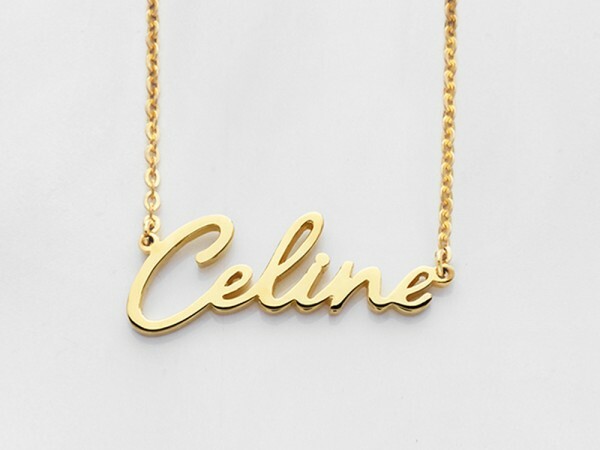 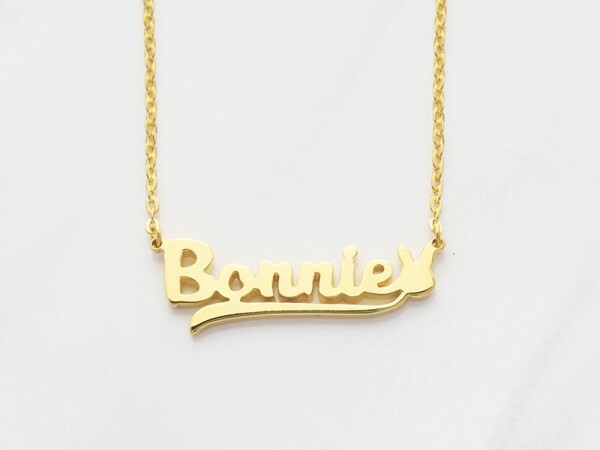 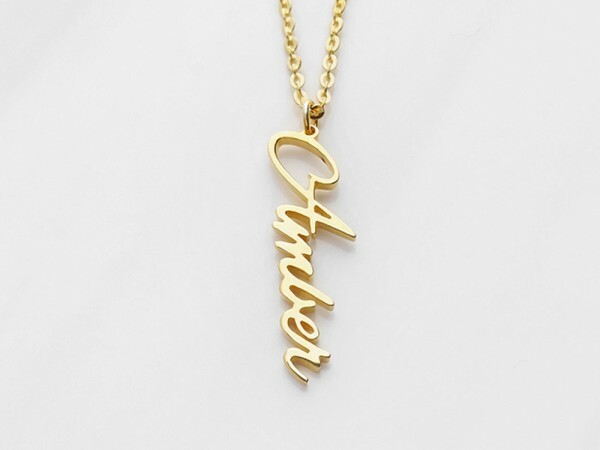 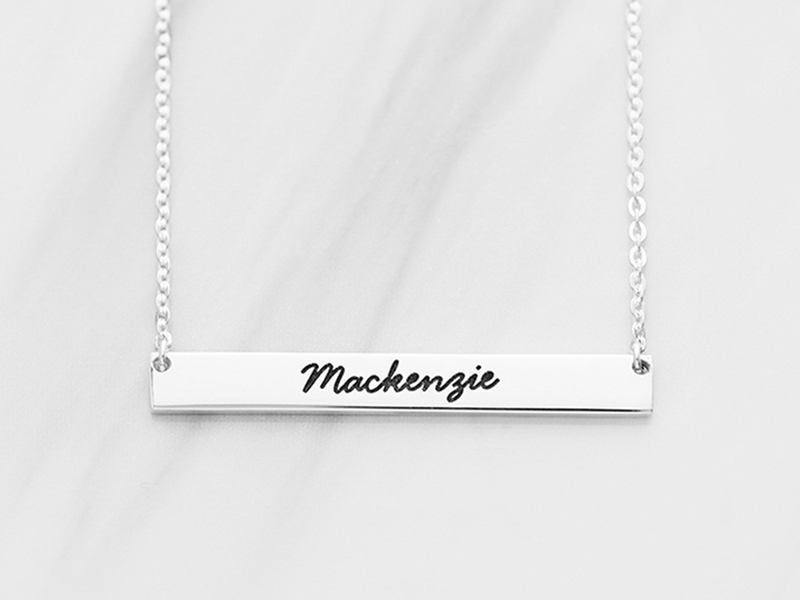 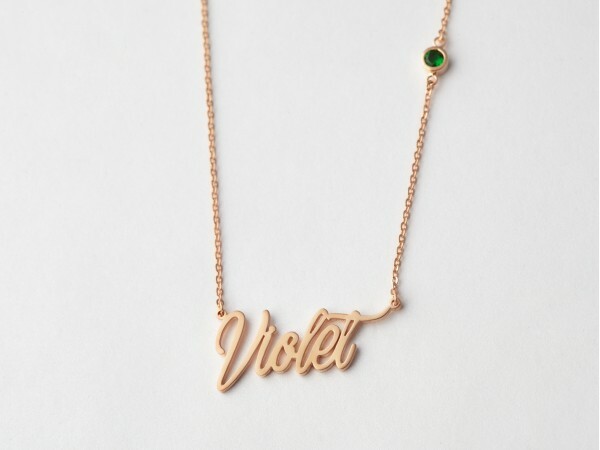 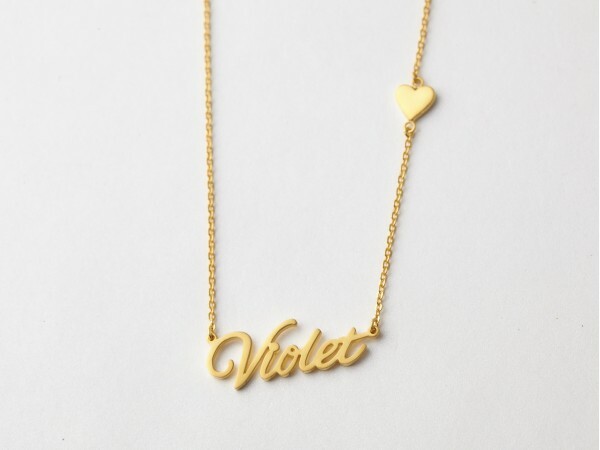 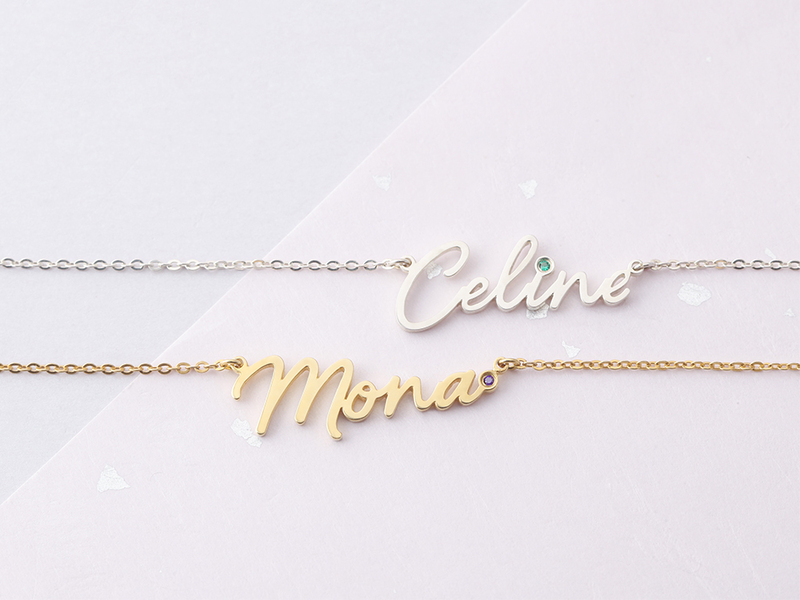 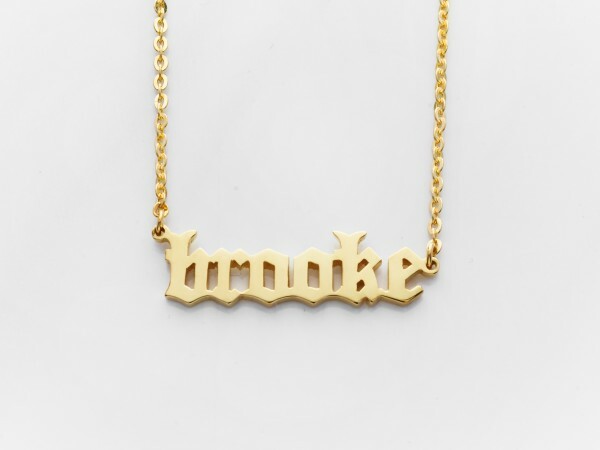 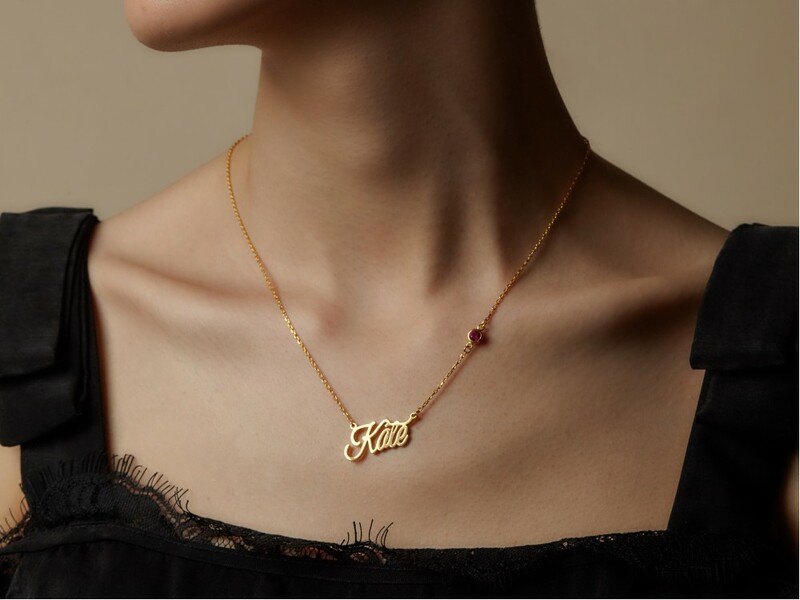 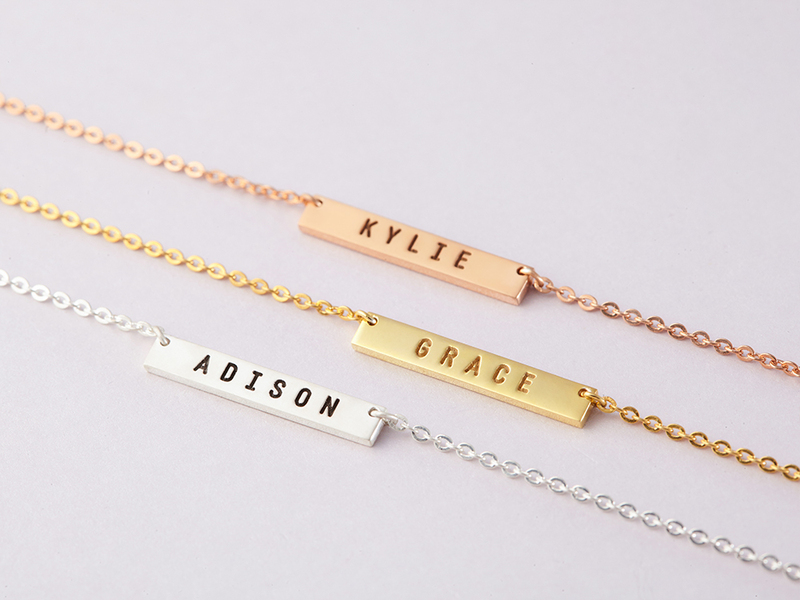 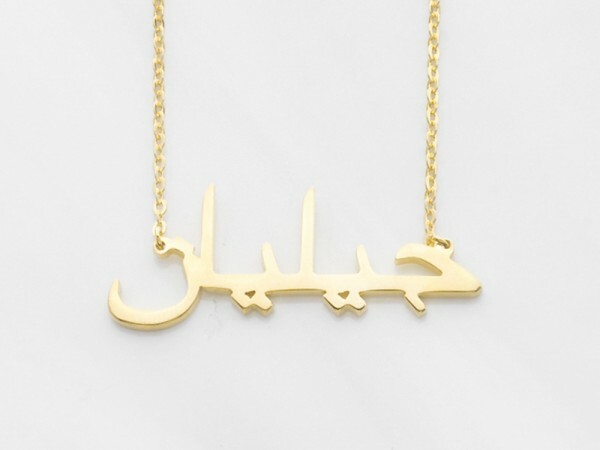 Customizable with your name and style, a name plate necklace is a stylish gift, adorned by celebrities such as Kylie Jenner and Kim Kardashian. 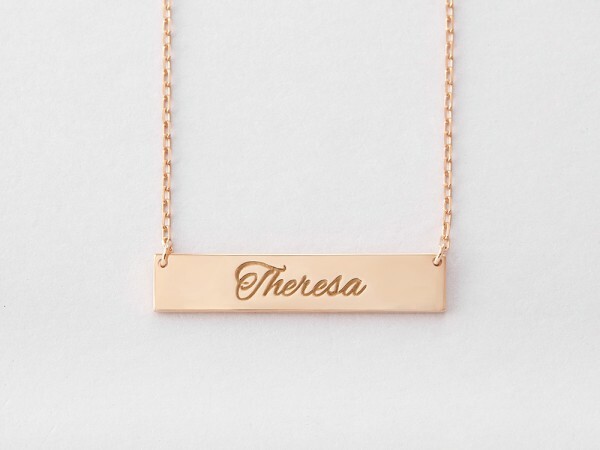 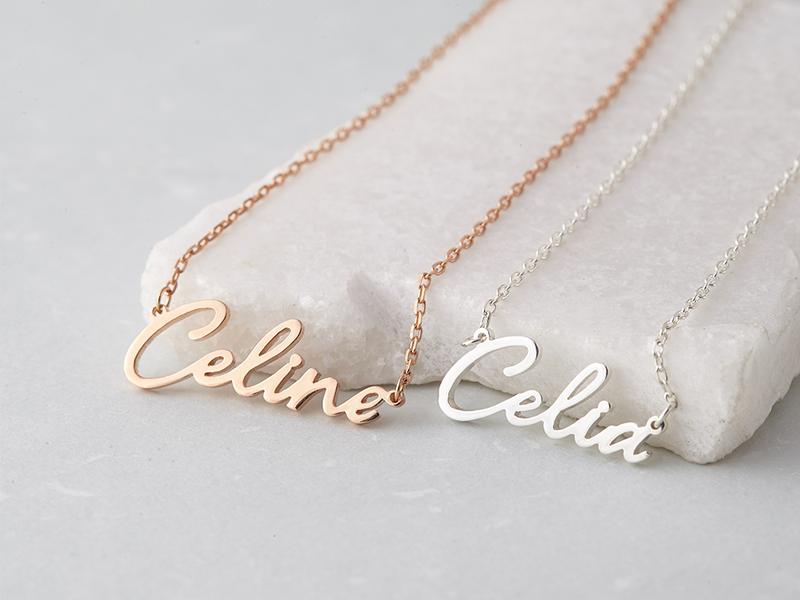 Available in sterling silver with 18K gold and rose gold plate options, these custom nameplate necklaces are beautiful on their own or layered.